This Cranberry Citrus Morgan Mule is perfect for your holiday party or an evening in fuzzy socks! 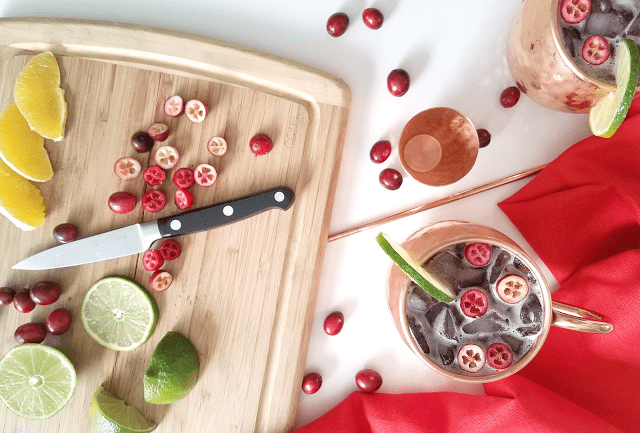 The combination of cranberry juice with ginger and spices is a perfectly festive flavor combination, yet this cocktail will help you make healthier choices this holiday season since it has less than half the sugar of most mule cocktails. Cheers to that! The good part about doing a cocktail post is the mid-day drinking that I just had to do in order to taste test this recipe. The bad part about doing a cocktail post is the mid-day drinking I had to do in order to perfect this recipe. Tee hee! Let’s just say I had a lot of fun with this one and move on, shall we? Anyways, today did it. I’m convinced that mules are the best cocktails ever. They’re refreshing and easy to make, yet they have terrific flavor without being cloyingly sweet. Plus, there’s a variation for everyone, from the traditional Moscow Mule made with vodka to the Irish Mule made with whiskey and the Mexican Mule made with tequila. All of those are enjoyable, and yes, I know from experience. Then there’s the Cuban or Jamaican Mule made with rum, and don’t forget about the Kentucky Mule made with bourbon, like this one that I posted a year ago. There’s even a Morgan Mule made with Captain Morgan that I discovered recently, and I have to admit that it might be my favorite for the holidays. The spices in the rum are magical mixed with the spices in the ginger beer! What’s even better about mule cocktails is that it’s easy to add unique flavors. The Cranberry Morgan Mule is an example. It’s a festive and attractive drink that’s perfect for the holiday season. 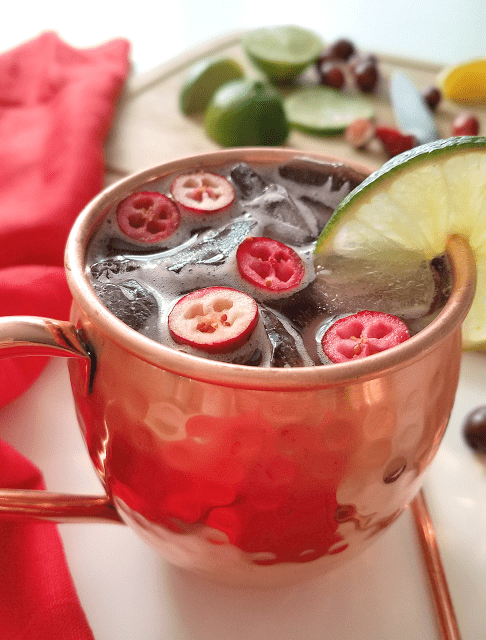 Captain Morgan posted a recipe for a Cranberry Morgan Mule and since then, several variations have popped up on Pinterest. But, like other mule cocktail recipes, they include a ton of sugar. Did you know that eight ounces of most ginger beers has an average of 35 grams of sugar? That’s 8 teaspoons of sugar! And these cocktails are so good you probably won’t stop at one. So what I’m trying to say is that all of that sugar would quickly add up to a whole heck of a lot. 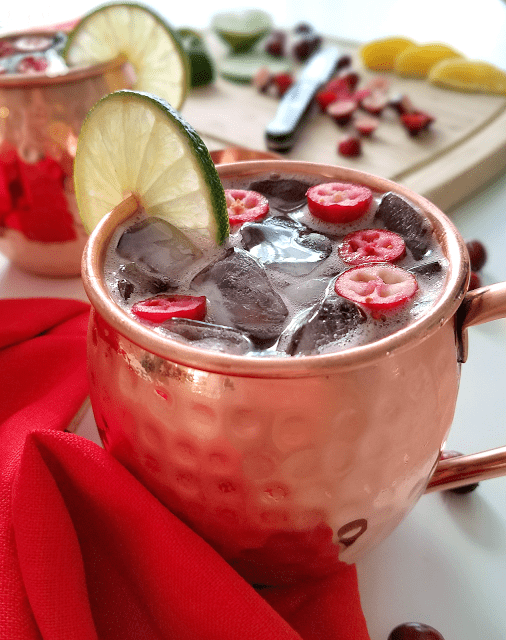 This recipe for Holiday Cranberry Citrus Morgan Mules is unique because it uses light ginger brew that has less sugar and no artificial sweeteners. My favorite is Reed’s Light Extra Ginger Brew, but Fevertree also makes a good ginger beer with less sugar. Q makes a particularly spicy ginger beer that is also lower in sugar than the average ginger beer. 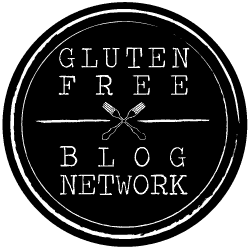 Find it on Vitacost here in a bottle or here in cans. What’s the result? Each drink contains about 12 grams of sugar (not including the rum) instead of 27 grams of sugar. Less than half. Plus you get lots of great antioxidants from the cranberries. I guess that means you can have one more?! 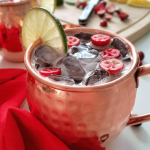 Not only is this Holiday Cranberry Citrus Morgan Mule made with low sugar ginger beer that has less calories than the average ginger beer, it also includes a splash of both lime and orange juice. The combination of lime and orange adds tartness and just a touch of sweetness. 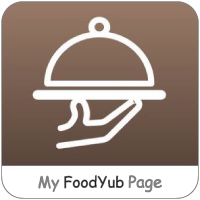 It’s so good with the cranberry juice, ginger and spices! This is the perfect cocktail for a holiday party. It’s quick and easy to make, festive, pretty, and really tasty! And since it’s made with reduced sugar ginger beer and unsweetened cranberry juice, it has a fraction of the sugar of most mule cocktails. 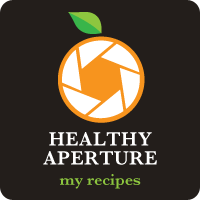 Keep scrolling down for the recipe. I hope you enjoy it! Wait! Don’t forget to pick up copper mugs for your Cranberry-Citrus Morgan Mules! I picked this set of two with a shot glass and stir sticks, but there are lots to choose from at a reasonable price on Amazon. Put all ingredients in a copper mug with ice. Give it a stir and garnish with lime, orange slices and cranberries, if you want.